WELCOME TO HARMONY WHOLE FOODS MARKET!! 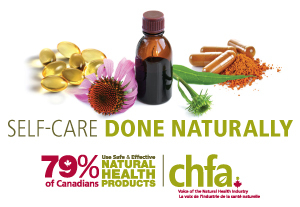 Harmony Whole Foods Market is a leading full-service natural products retailer, having served Orangeville and the surrounding area for over 38 years. Our focus is organic, and our offerings include food (produce, meats, dairy, packaged grocery products- specializing in gluten free, dairy free, vegetarian/vegan, non-GMO, local, bulk), supplements, body care and more. Our goal is to help provide the information our customers need to make choices about their health & lifestyles. Harmony Whole Foods Market’s experienced, knowledgeable and helpful staff includes a Certified Nutritional Practitioner, a Registered Herbalist and a Certified Natural Products Advisor, as well as long-time staffers whose tenures range up to 30+ years. We also offer gluten free store tours, complimentary in-store newsletters & magazines and e-newsletter subscriptions. Whether it’s offering a fresh bunch of organic broccoli, a bottle of the finest whole food multivitamin/mineral supplements or a copy of the latest best-selling book to support you on your journey to vibrant health- how may we help you?